Polyether-based adhesive for SBS modified bitumen membranes on flashings and slope surfaces > 3 % (3/8 in per ft). 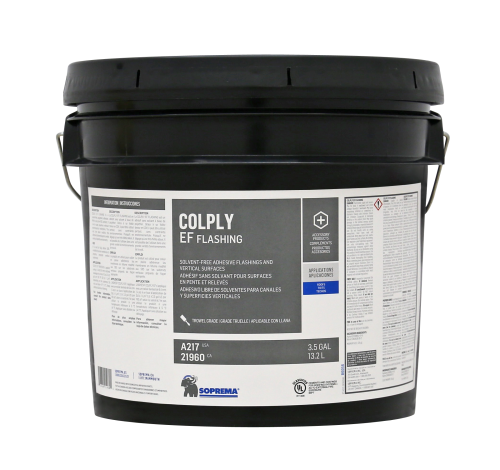 COLPLY EF FLASHING adhesive must be stored between 5 to 40 °C (41 to 104 °F). Store in a ventilated place, away from heat and direct sunlight. The minimum application temperature is 5 °C (41 °F).